Dental Associates Kids offers specialized pediatric dental services to families in Shelton, Trumbull and the surrounding areas. We use the most advanced technologies, procedures and patient care options to ensure the very best dental experience! Make and appointment today and experience the difference for yourself. Dr. Felline is our pediatric dentist in Shelton. He received his DMD from University of Pennsylvania School of Dental Medicine and his Certificate in Pediatric Dentistry from St. Josephs Regional Medical Center. 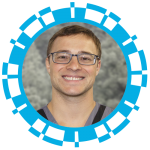 He joined Dental Associates in 2018 and is very excited to serve the children and families of the Shelton community. Call our office at (203) 372-8961 to make an appointment.